Maritime Gardening Guide — This is, hands down, the ultimate gardening bible for northwest vegetable gardeners. Authored by none other than Seattle Tilth, the information is regionally appropriate and time tested, easy to understand for both the beginner and advanced gardener, and economical at under $20.00. Even the omniscient Whistling Gardener owns one - how’s that for an endorsement. Farmer’s Almanac — A combination of entertainment and education, this publication takes the Maritime Gardening Guide into the next dimension. Part fact and part folklore, the almanac is always fun to read. At under $7 it is, at the very least, cheap entertainment and, at the most, a very useful gardening guide. For under $10 you can purchase the Farmer’s Almanac calendar and enjoy it for 12 months by just looking at the beautiful colorful pictures without having to read a single word. There are days when this is just what I need. Bird feeders — There is no better form of winter recreation than watching the colorful antics of our local bird populations. Stellar jays, hooded Juncos, chickadees, flickers, bushtits, and my very favorite, those crazy hummingbirds, all visit my yard in the winter because I have water, feed, and lots of vegetation where they can feel protected and raise their young come spring. I focus on suet for most of my birds and nectar for the hummers - neither of which is very expensive. At under $20, a case of 12 suet cakes makes a very thoughtful gift. Mini greenhouses — There are lots of choices out there for the frustrated gardener that is going stir crazy being stuck inside this time of year. Gardening indoors can be lots of fun and a small greenhouse with four shelves opens up opportunities. One can grow micro-greens or alfalfa sprouts or just plop in some colorful houseplants and breathe in the additional oxygen. For $75 to $125, and an additional grow light, you can be well on your way to enjoying the world of greenhouse gardening. Rubber shoes — Who says that rubber boots have to be boring? Sloggers has been selling whimsical and yet practical rubber shoes and boots for years now and the designs just get better every year. It’s pretty hard to get through the winter around here without a pair of waterproof shoes, so why not have fun with it and try out some Sloggers. You can slip into a pair of shoes for under $40, or a pair of boots for around $50. Winter-blooming plants — What kind of nursery professional would I be if I didn’t mention plants as an appropriate gift. Although difficult to wrap and place under a tree, plants make a wonderful gift that can be remembered for years as they grow and mature in the garden. 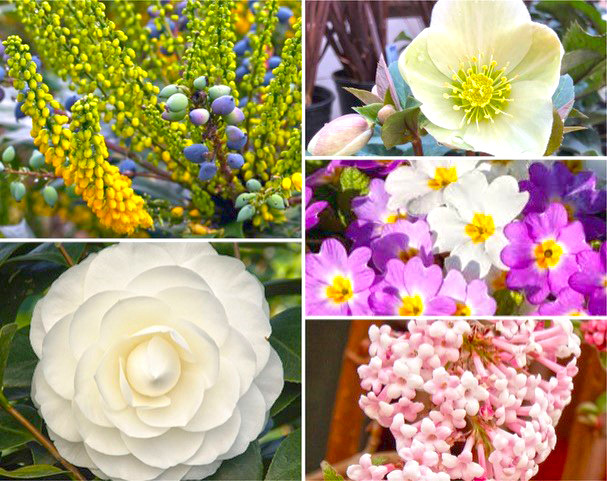 Hellebores, primroses, Viburnum “Dawn,” “Charity” Mahonia, Camellias, and a wide range of colorfully foliaged conifers and broadleaf evergreens all provide winter interest in our gardens that can be appreciated for years to come. There isn’t a garden in the world that doesn’t appreciate a new plant. Gift cards — Finally, if all else fails, there is always the gift card, which has the added bonus of providing an opportunity for you to join the recipient in the spring for a field trip to your favorite garden center. Now that’s a “win-win” gift in my book.